Among the many great things about 2016’s Doom, one of the standouts is the excellent soundtrack courtesy of composer Mick Gordon. Soon extreme audiophiles and lovers of physical objects will have a new way to enjoy those smooth, trashing tones, thanks to a full release on vinyl. 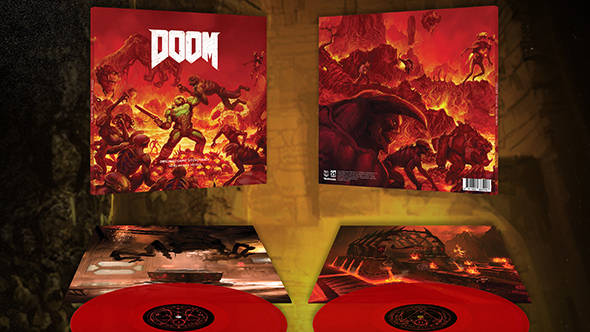 The Doom Original Game Soundtrack hits vinyl this summer, in a wide variety of formats. At the top end sits the Special Limited Edition X4 LP, a four disc set pressed on blood-red vinyl – cut at Abbey Road Studios – accompanied by a Doom-branded turntable slipmat and a bonus CD edition of the soundtrack. Pre-orders for this edition begin today at $100, but that window will only stay open for 14 days. At a slightly less high end we have the Special Edition X4LP, with the same four disc 31 track full soundtrack, but pressed on standard black vinyl and available at $80. The standard Double LP does come on red vinyl, with a selection of 20 favourite tracks selected by the developers, available for $35. If you want to go digital, you can also get a Deluxe Double CD from $15. Every edition is available for pre-order via Laced Records, while both the Double LP and CD editions will hit retailers later this year. The full soundtrack is already available on Spotify and other digital music providers, but those aren’t large expensive objects whose purchase I’ll have to awkwardly explain to my wife. I think the superior choice is clear.